The Soc. AGR. 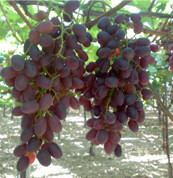 ALEPPO produces only table grapes. 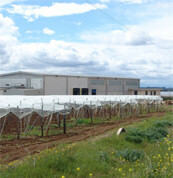 The different cultivated varieties (white, black, red and pipless) make the company be present on the market from July to November, as reported in the production calendar. The certification Agency, BioAgriCert srl, controls the company at regular times and certifies the conformity of the production and transformation activity. The same agency certifies that Soc. Agr. 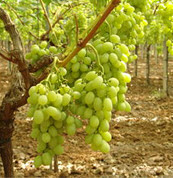 ALEPPO complies with the standards belonging to the international certification of the "Buona Pratica Agricola GlobalGap".